Reduce maintenance and replacement time in your restrooms with this surface mounted twin jumbo roll toilet tissue dispenser from Bobrick. Constructed of satin finish stainless steel this jumbo roll toilet tissue dispenser will always be easy to clean and resistant to dents, scratches and stains. The sliding access panel exposes one roll at a time for quick switching when one roll is depleted. Each spindle holds one 10" diameter roll and is convertible for 3" core rolls if desired. The wide viewing slot in the door allows the user and your staff to see if both rolls need replacing. 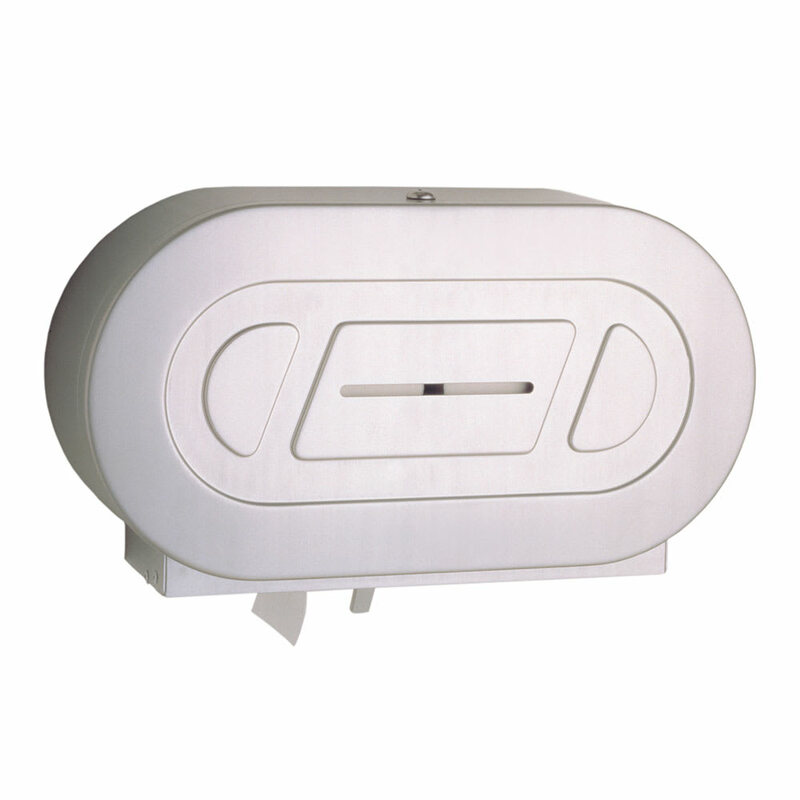 This twin jumbo roll toilet tissue dispenser features a tumbler lock to prevent tampering.